Separated by 3/4 of a length Tuesday in the Grade 1 La Brea Stakes, Unique Bella and Paradise Woods are expected to meet again soon, this time going around two turns. 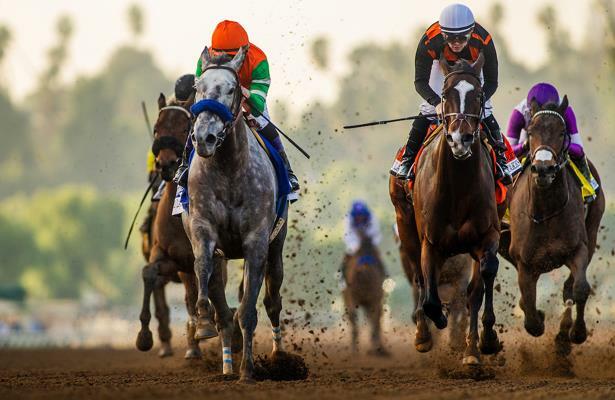 The Daily Racing Form reports that both fillies entering their 4-year-old seasons will next point to the Grade 2 Santa Maria Stakes set for Feb. 10 at Santa Anita Park, with the budding rivalry stretching from seven furlongs to 1 1/16 miles. In the La Brea — their first meeting — Paradise Woods led leaving the turn and held her advantage until the final sixteenth of a mile, when Unique Bella, who rallied five wide at one point, overtook her. Unique Bella, a daughter of Tapit who missed much of 2017 due to injury, hasn’t gone two turns since the Grade 3 Santa Ysabel last March, also at 1 1/16 miles. As for Paradise Woods, she followed up a highly praised third-place effort in the Breeders’ Cup Distaff by nearly winning her third Grade 1 race.